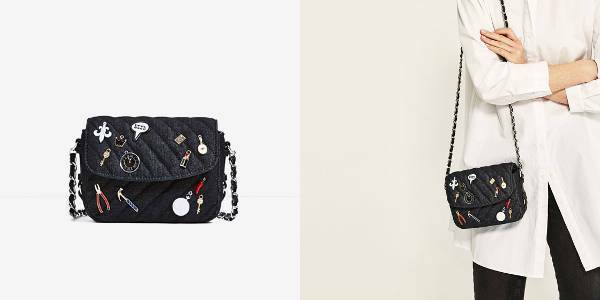 With just two weeks into 2017, Zara has already proven its fast fashion presence with a selection of products so notable and trendy that it was actually difficult for us to narrow it down to the best few. Giving you a peek into Zara’s S/S 17 collection, we have today compiled a list of 10 best Zara products that will unquestionably be the trending favourites this year. We all are aware that the flower print was one of the most loved prints in 2016 and it still continues to be the same in 2017. Whether it is via embroidery or an all-over fabric print, flowers will continue to share the limelight on the fashion stage. 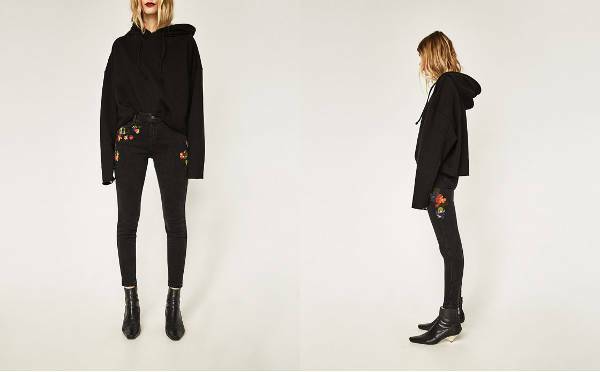 Zara too features the trend with embroidered mid rise skinny fit jeans. Instead of completely ditching the sweaters in the onset of spring, these light ‘barely there’ sweaters by Zara will allow for a little airflow while also keeping you snug and comfortable. Pair your leather and coated pieces with an elegant and shining style of skirts and dresses this season. This Zara pleated midi skirt is going to help you turn around the look of the outfit and also allow you to wear the fashionable pieces in alternative ways. The popular menswear plaids are going to be huge in trend in 2017. Right from being featured in the oversized blazers to being sported on the mini dresses, the plaid patterns in both monochromatic and vibrant shades is going to enjoy a fashionable presence in 2017. Seen on the runways of various designers this season, crisp cotton shirts are one of the comfortable and staple pieces to purchase this season. 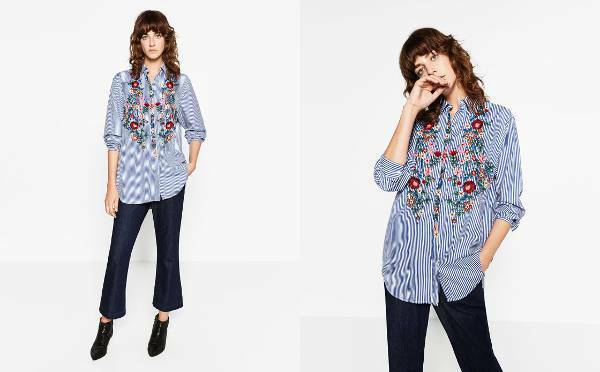 The floral embroidery on the Zara shirt gives a soft and lovely upgrade to the regular stripes. Athleisure is one trend that is here to stay, so whether it is with your oversize sweatshirts, sneakers, streetwear-inspired selective pieces, athleisure ensures to offer comfort with style. Try and go for knitwear styles that are more out of the box than the average choice of the individual. Knitwear with attached chokers is one trending style to opt for this season. Multiple variations between white and cream-coloured basics hold the potential to brighten the wardrobe with elegance and subtlety. Whether it is the basic tailored trousers or the woven knit style sweaters, do not forget to play around with white in your wardrobe. 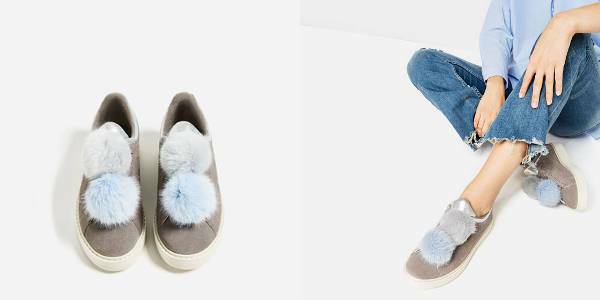 Zara definitely isn’t quite ready to get rid of the furry accessories trend just yet. And these festive sneakers prove that they are definitely a great way to transition your way into a fashionable S/S 2017. Add a personal and quirky touch to your wardrobe with the help of pins, patches, and text-adorned items. If you are a loyal Zara customer, you would know they go all out and unconventional in this department. Comment and let us know which trend are you excited to wear this season.